See the best Cary has in the art of eyelash extensions, lash lifting services, Microblading and spray tanning to give you the most gorgeous carefree beauty around. Classic lash extensions are application of one eyelash extension to one natural lash. Our artists will create a custom, natural looking set of lashes just for you. All artists are trained and certified by master artist Gini Dumers and are backed by out satisfaction guarantee. This technique of lashing was developed in Russia and cutting edge salons are now offering this luxury lash treatment. By carefully applying several thin and fluffy lash extensions to one eyelash, we create a full, glamorous lash set of your dreams. These lashes are a lovely mix of Classic and Volume lashes to create a natural looking set of lashes with a touch of extra fullness and drama. Our lash artist will create the perfect set of lashes just for you. For those of you who want a lash extension alternative, the iCandy Lifting Lash Perm is for you. Add perfect lift and curl to natural eyelashes that last up to 6 weeks! Our sunless tans are fast acting, all-natural solutions that are superior to our competition. Our airbrush tan is applied by our pro airbrush artists. Our airbrush tans are flawless, long lasting and never orange or unnatural looking. Each session takes about 30 minutes. Don’t let poor skin conditions detract you from loving your look. Our Skin Care services will help you regain your confidence and show the world the real you! Microblading is a form of permanent makeup. Pigment is inserted into the skin using a small grouping of needles called a microblade. Your microblading artist will numb the skin, draw on the ideal shape of your brows and make tiny cuts that mimic the look of real hair. iCandy Lash Lounge knows eyelash extensions! We make eyelash extensions that will enhance your entire look. iCandy Lash Lounge specializes in applying the best lash extensions that will compliment your facial features and bring out the true and unique beauty in your eyes, all while being safe and compatible with your natural lashes. We provide several different types of lash extension sets...classic, hybrid and volume. 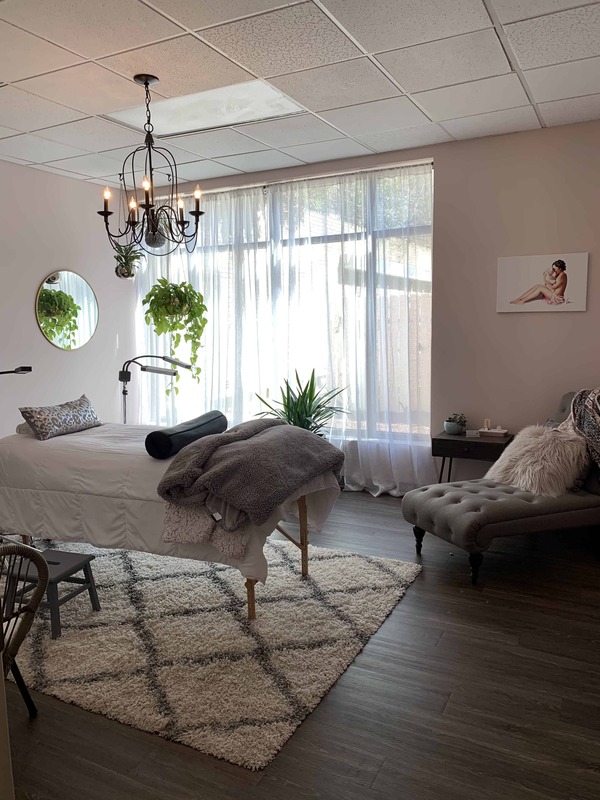 When you come in, we will consult with you about your lash needs and assess your natural lashes to provide you with the best eyelash extensions you've ever had! They will be comfortable and look natural. iCandy Lash lounge will give you the lashes you've always dreamed of having. All you have to do is relax, and let us do the work in our luxurious and calming atmosphere. After your full set is applied, we recommend scheduling a fill-in visit every 2-3 weeks. These visits take about an hour to 90 minutes. Your highly trained Lash Stylist will recommend the best timing between appointments. This way, you can have gorgeous, fluttery and care-free lashes all the time. Just imagine waking up and being ready to face the day, or going to the pool or beach and not having to worry about mascara running down your face! We look forward to meeting you and being your eyelash extension provider. Gini and her group at iCandy Lash Lounge, are the best of the best....I get so many compliments and love the results I get at iCandy. There are many lash studios in our community today, but iCandy is by far the best! Give them a try, you will not be disappointed! I’ve been to a handful of places in both Wilmington & the Raleigh area; I have never left iCandy unhappy! Definitely WORTH the money & that staff is ALWAYS welcoming. Maria is always so professional and a pleasure to do business with. She makes my lashes look great and she makes the time it takes to get my lashes on go by quickly! Highly recommend iCandy. ICandy Lash Lounge has provided me with gorgeous lashes for the past six years. I cannot say enough about the professionalism, kindness and expertise of the owner Gini Dumers...extending to all of her colleagues as well. Not to be compared with any other location in the N.C. Triangle. I receive compliments literally all over the world, with all thinking they look completely natural. Great experience, Lauren was awesome and I am loving my lash lift and brow tint! I will definitely be back in a few weeks! I did the keratin and tinting treatment for my lashes and can really tell a difference! My lashes look so long! Maria did a great job! I will be back! I am obsessed with iCandy Lash Lounge and my gorgeous lashes. They save me a ton of time every morning. I hardly bother with mascara - I always feel pretty with or without makeup. Gini and her team of technicians are artists with years of training. Don’t be fooled my chain eye lash places - you get what you pay for! Highly recommend iCandy!! I am obsessed with iCandy Lash Lounge and my gorgeous lashes. They save me a ton of time every morning. I never bother with mascara-I always feel pretty with or without makeup. Gini and her team of technicians are artists with years of experience and training. Don't be fooled by chain lash places-you get what you pay for! Highly recommend iCandy! At iCandy, we believe eyelash extensions should look natural while still adding definition, length and lift to the lash line. We customize our lash sets to accentuate your unique features. We use faux mink, cruelty free lash extensions for a soft look and feel. We never apply lashes extensions that are too long or thick for your own natural lashes. With iCandy Lashes, you can throw away your mascara and wake up beautiful everyday! © 2019 iCandy Lash Lounge.